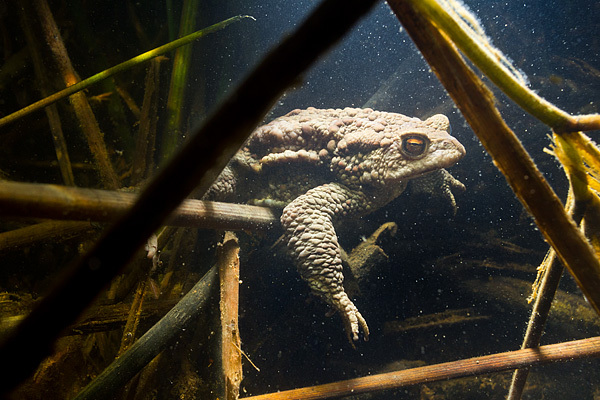 The all-seeing eye of Common toad (Bufo bufo) in Alesti sand quarry. It is quite difficult to get a good picture when the visibility is only half a meter. But there are still some lighting schemes that work in that kind of situations.